For a novel about suffering, The Only Problem is a lot of fun. The interchangeability of the relationships borders on farce, though Spark prepares for it by having Edward unexpectedly jealous of Harvey leaving Effie without knowing why. The sisters physical likeness adds to the humour (when Harvey first sees Effie’s picture in the paper “the outlines of the girl’s face struck him as being rather like Ruth’s”), with Spark adding a further dimension to this by having Job’s wife, in a painting which Harvey has moved into the area to study, share that likeness. The sudden transition from Chapter 2 to 3 when we discover that Ruth and Effie’s baby are living with Harvey is worthy of a modern television series. Spark is careful to imply that Harvey’s wealth allows him the time and space to think so. “Suffering isn’t in proportion to what the sufferer deserves” is perhaps true for all the characters, in one way or another. 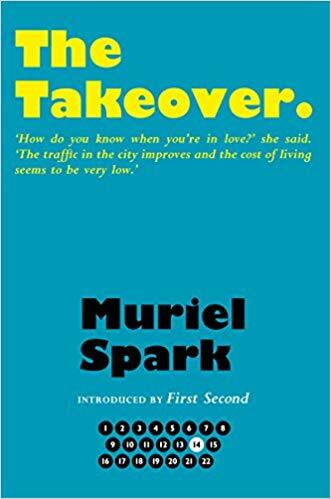 Reading Muriel Spark’s seventies novels (The Takeover was published in 1976) it becomes increasingly apparent that she was, in her idiosyncratic manner, a crime novelist. Violence has always been just beneath the surface in her work (take, for example, The Ballad of Peckham Rye), but her Italian novels in particular seethe with criminality and corruption. Rather than a cast of characters who may be guilty – the task of the reader (and the detective) being to discover which one is indeed to blame – we can assume all her characters are guilty, the only question being, of what? For Letizia, the Italian neighbour, “with her youth dedicated to an ideal plan of territorial nationalism”, the takeover is rich foreigners like Maggie buying Italian land. If all this seems almost playful, Spark ensures we understand what is at stake by referencing The Golden Bough, quoting Frazer’s description of the priest at Nemi being replaced when a challenger kills him – “if he slew him he reigned in his stead.” Frazer, like Spark, was acutely aware of the violence which lies beneath our stories. Attempts to oust Hubert, and Hubert’s plans to outwit them, represent only a fraction of the plotting and deception which occurs in the novel. Maggie’s Italian lawyer, for example, sides with Hubert, going so far as to arrange a false medical certificate for him. She is also duped into losing her fortune to a fraudster, but retaliates by arranging to have him kidnapped so she can be repaid via a ransom. Her jewellery, despite elaborate attempts to hide it in a kitchen step, is stolen, not once, but twice, and Berto, her husband, unwittingly invites a pair of art thieves to lunch only for Mary to spot her Gauguin (which Hubert has replaced with a fake) in their catalogue. Infidelity is also rife, with Lauro, previously Hubert’s secretary and lover, now servant in Mary’s house, sleeping with both her and Maggie. We cannot look to Spark to provide justice, or even guilt, but there is always a suggestion that redemption is possible. The novel does not really work as a satire – nor is it likely it is intended to. Spark generally finds immoral behaviour amusing and tends to mock rather than attack. As Alexandra puts it, “We are corrupt by our nature in the Fall of Man… O happy flaw!” Generally the novel is much more light-hearted than those which have preceded it, with jokes – “Gertrude should have been a man… With her moustache, you can see that” – and elements of farce, such as when a blackmail payment to the Jesuits takes place in a woman’s toilet requiring one of the priests to dress in drag. Gertrude, a perpetual missionary contacted by Alexandra for advice by phone (and always in a different location), might be seen as the voice of reason, but even she exists in an exaggerated reality, at one point negotiating a truce between a tribe of cannibals and a tribe of vegetarians. The Abbess of Crewe is a delight – clearly if a sitcom in a nunnery was required Spark should have been first in line to script it. And in Alexandra we have one of Spark’s most memorable characters: corrupt, cruel, and yet compelling, and, in the end (like Brodie), immune to guilt. Having toyed with the murder mystery (without murder or mystery) in Not to Disturb, Spark turned her hand to a different genre in The Hothouse by the East River: the ghost story. Once again, she subverts the reader’s expectations (Peter Kemp has described the novel as an “expectation-jarring parody”) by creating a ghost story in which the dead are haunted by the living. Elsa, in her usual place in the titular New York apartment, sitting by the window gazing out at the river, tells her husband, Paul, that she met an old acquaintance while shopping for shoes: Helmut Kiel. Kiel was a German POW whom they met in England during the war working at The Compound, “a small outpost of British Intelligence in the heart of the countryside.” The only problem is they both believed Kiel to be dead. Later Elsa is dismissive – “The man can’t be Kiel, he’s young enough to be Kiel’s son” – but the idea has already taken root in Paul’s mind, his concern that the past has caught up with them exacerbated by his believe that Kiel and Elsa had an affair in 1944. Spark places little faith in her psychiatrist, Garven, at one point reducing him to a more obviously servile role when he replaces Elsa’s maid. When Elsa says, “He’s looking for the cause and all I’m giving him are effects,” the comment seems playfully aimed at the reader too. As Elsa reveals to him, however, he “died too… That’s one of the things you don’t realise, Paul.” (Perhaps it is significant that the river Lethe in Hades is usually pictured as the easternmost). In the near-farce of the novel’s final scenes, Paul and Elsa are chased by their dead colleagues through the streets of New York, city of the living dead, until they finally accept their fate. The Hothouse by the East River is another sharp, satirical, subversive Spark novel, the abandon of its more surreal moments tempered by its serious intent. Even when wrong-footed, Lister quickly adapts. Discovering that the madman in the attic (a further Gothic twist) is the Baron’s brother, rather than a relative of the Baroness, and therefore his heir, he arranges an immediate marriage to a pregnant housemaid. ‘Thank you sir,’ says Lister. Containing two mysteries – Freddy’s lost weekend and the suggestion Barbara’s whereabouts are unknown – it perfectly sets up what follows, the story of Freddy’s attempt to rescue Barbara from Jordan where he feels her half-Jewish identity places her in danger. It is an opening, however, which we do not reach until chapter 5 as, of all of Spark’s novels, The Mandelbaum Gate is the most conventional. (Spark herself described it as “much more concrete and solidly rooted in a very detailed setting”). Prior to chapter 5, where it might be said the novel finally begins to progress with pace, Spark has carefully introduced her characters. Barbara is on a pilgrimage, but she is also struggling with a matter of principle, a love affair with an archaeologist, Harry Clegg, having led to a proposal of marriage. Harry, however, is divorced and therefore she cannot marry him and “remain within the Church, unless his marriage was invalidated by the Church.” News of her engagement will also infuriate the headmistress at the convent school where she works, who sees their friendship threatened, and she will follow her to the Middle East. Barbara’s pilgrimage takes her to Jordan, even though Freddy warns her of the danger posed by her ‘Jewish blood’, where she falls ill. Spark handles the slow return of Freddy’s memory with the skill one might expect. Freddy has a “premonition of bloodshed” but, though shots are fired at the border, the death he has foreseen occurs back in England. In the novel’s second half Spark immerses herself in the espionage genre with disguises, nocturnal escapes, illicit passions…and an unexpected spy. Freddy’s attempt to rescue Barbara and, later, Joanna Cartwright, demonstrate he is no longer ‘lukewarm’, an option Spark has dismissed in the face of Eichmann. 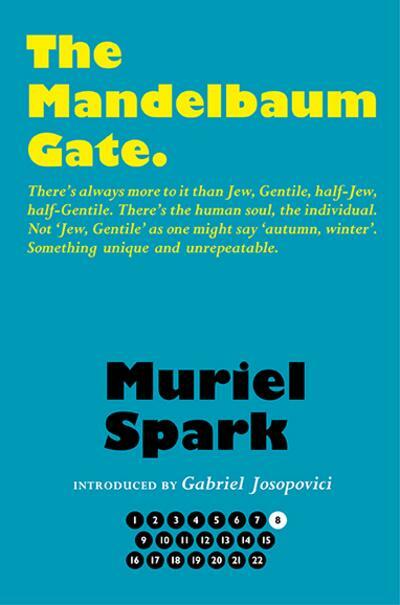 In some ways, The Mandelbaum Gate is Spark’s most fully rounded work, but it is not her most successful. Her brilliance seems to be diluted in the attempt to create characters with detailed back stories (not only the English characters, but the Ramdez family and Alexandros) in a three dimensional setting. It is worth noting that in the novels which immediately followed, The Public Image and The Driver’s Seat, she would leave realism entirely behind. 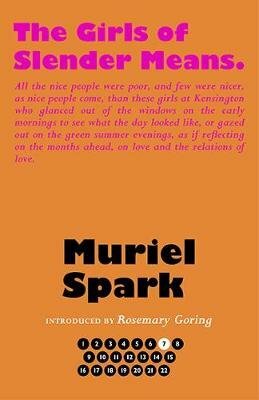 In 1945 Farringdon has yet to meet the girls of slender means, the girls of the May of Teck Club, a hostel which “exists for the Pecuniary Convenience and Social Protection of Ladies of Slender Means below the age of Thirty Years, who are obliged to reside apart from their Families in order to follow an Occupation in London.” He is introduced to the Club by Jane, a publisher’s assistant, who has been assigned him and his book, The Sabbath Notebooks , by her employer, George (at least that is the latest in a number of names he has answered to over the years). Jane is “fat but intellectually glamorous” using her ‘brain work’ as an excuse to indulge her appetite. (“She ate a square of chocolate to keep her brain going till supper time.”) A minor character, Pauline Fox, leaves every night to have dinner with Jack Buchanan; in fact, she simply circles the park in a taxi. When she is discovered returning early she exclaims, “Oh! Don’t talk to me. We’ve had a row.” Like a great caricaturist, Spark can sketch a distinct and recognisable figure with only a few lines. Lest we forget, however, amid the comedy we find frequent references to the cost of living, to getting by (Jane’s infallible method of getting rid of unwanted intrusions is to ask for a loan of 15 shillings). In contrast, the text is littered with the lines of poetry Joanna recites to her pupils, each random recitation eerily apposite on closer consideration. And slowly, unnoticeably, Spark tightens the tension towards the novel’s violent epiphany. It is a novel which feels so perfectly formed, a word out of place might change it; so perfectly formed we might even forgive the author for rewarding the wicked and punishing the good. 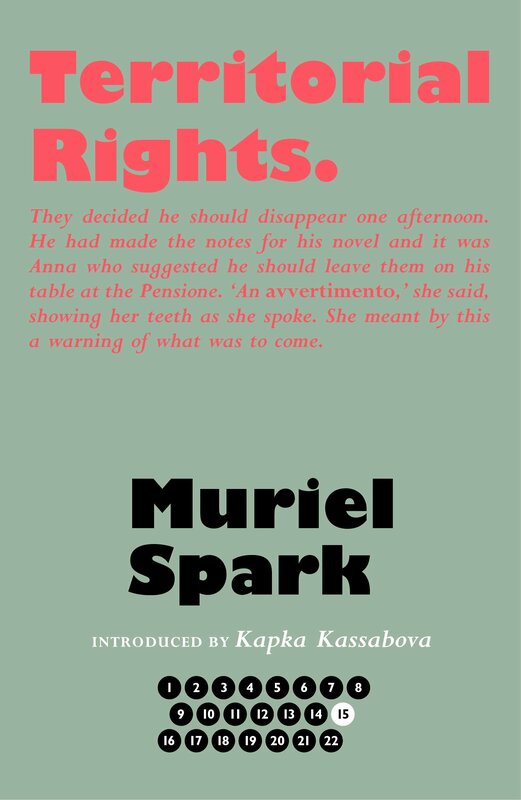 Reading Muriel Spark this year will be mostly re-reading; in fact, there are only two of her novels that I haven’t read at least once before: The Mandelbaum Gate and The Bachelors. The former results from foolishly placing the book unread among all her others where it has lain low ever since; the latter from a rare false start. 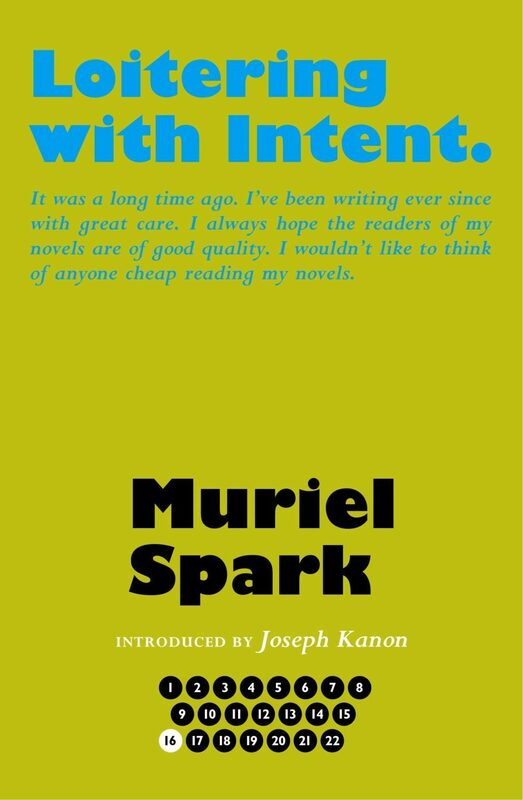 Spark’s beginnings are generally addictive, her novels demanding to be devoured, preferably in a single sitting, all the better to appreciate the lines which echo through the pages. The Bachelors, however, felt stuffy and stand-offish and was put aside, jilted and (in quite another way) on the shelf. Patrick is a medium, spiritualism being one of the false faiths of the novel. 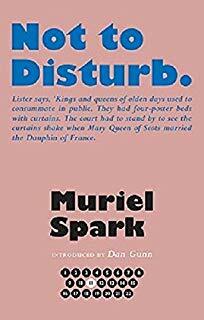 Spark, naturally, has some fun with this, including comments about ridding the séance of ‘cranks’ as “they lower the tone,” and a wonderfully comic set-piece in which Patrick, channelling Freda Flower’s dead husband, warns her about continuing with the forgery prosecution, while Freda’s self-styled protector, a clairvoyant called Mike Garland, attempts to intervene. Ultimately, though, Ronald is rather a nondescript hero, and Patrick a more everyday villain than Dougal Douglas or Jean Brodie. Its short time span (four days) and large cast make it feel rather crammed. While The Bachelors is successfully in its own terms, these terms seem rather limited compared to Spark’s other work. 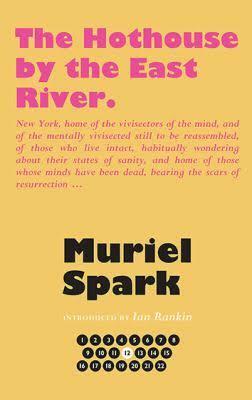 You are currently browsing the archives for the Muriel Spark category.